The timely transition away from fossil fuel-powered transportation in U.S. will not happen as a result of government edict, high taxes, high fuel prices, or running out of oil. As long as the vast majority of consumers use gasoline and the oil companies retain their financial grip on Congress and state legislatures, high gasoline taxes and gasoline bans will remain pipe dreams. New oil extraction technologies, vast proven oil reserves, and regular discoveries of new oil fields virtually assure that cheap oil will be with us for decades. Rather, the transition to clean transportation will occur because consumers reject gasoline-powered cars in favor of electric cars. Some of the motivation to reject gasoline cars will be driven by price and cost—long-range electric cars will soon attain price parity with gasoline-powered cars, and electricity is already considerably cheaper than gasoline on a cost-per-mile basis. Most of the motivation for rejecting gas cars will be lifestyle-driven—mainstream consumers will come to see gasoline use as an unnecessary, dirty, anti-social act, and will prefer the “clean” feeling associated with driving an electric car. America’s 300,000+ electric car owners are key leaders in the transition away from gasoline to electric cars. We have first-hand experience with electric car technology, with charging, and have been leading advocates for building out the charging-station network. Electric car owners already have strong associations and social media networks where we share information and collaborate on policy. We have proven our commitment to a cleaner environment by “putting our money where our mouth is” and buying electric. Electric car owners should not be satisfied solely with reduction or elimination of our own car’s pollution, and in increasing the convenience of charging an electric car, although these are very important goals. We also need to become leaders in convincing our family, friends, co-workers, and company fleet managers to reject gasoline. Now that electric cars are comparable to gas cars in terms of cost and convenience, the use of gasoline has become a lifestyle choice rather than a necessity. As such, it is possible to convince fellow consumers make the shift away from gasoline. The critical moment to push our family and friends to buy electric is when they are buying a new car. We need to educate those considering buying cars about the pros and cons of the wide range of different electric and plug-in hybrid models, and encourage them to test drive or buy the models that best fit their needs and lifestyles. There is a good plug-in model for just about every lifestyle and budget. Car purchasers need to understand that the average gas-powered car will spew about 24,000 pounds of CO2 annually for each the next 10-15 years, and that they will soon start to feel embarrassment and guilt every time they go to the gas station or even drive their car. We must be bold and proud about the benefits of clean electric living, and clear about the severe health and environmental effects of the widespread use of gasoline. 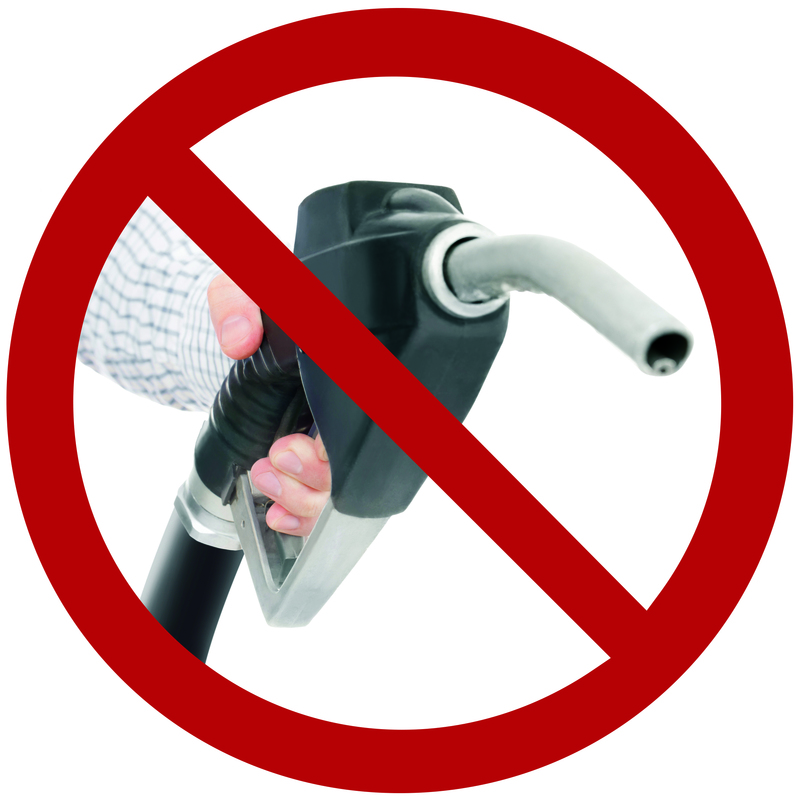 We need to spread the word that each gallon of gasoline used spews 20 lbs. of CO2 into the air, along with a toxic stew of known carcinogens and asthma triggers such as 1,3 butadiene, benzene, and tolulene. We must spread the ethic of “owning your smoke,” the idea that the exhaust that comes out of the back of one’s car is the responsibility of the owner of that car, and not the responsibility of society at large (and our children) to deal with. Electric car owners are the key leaders in the budding consumer movement against gasoline. We should be loud and proud about our commitment to avoiding gasoline, and diligent in pushing our friends and family to abandon it as well. As our numbers grow, we will achieve a critical mass which will allow for more economies of scale in electric car production, more investment in the charging network, and more social pressure away from gasoline. Our planet, and our children and grandchildren, need us to lead the movement away from gasoline, one consumer at a time.